2.2" inner diameter, fits on any narrow wheels. Youtube:The following Video showing how to mount this tyoes of narrow tires on a wheel. 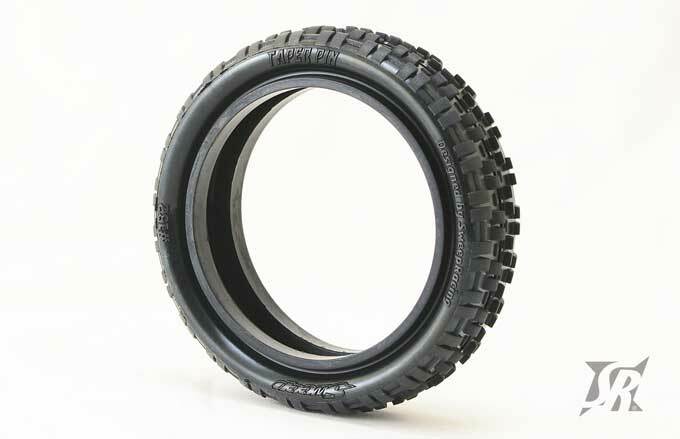 We introduce 10th buggy tires "MICRO DOT" rear tires for Astro turf / carpet track. 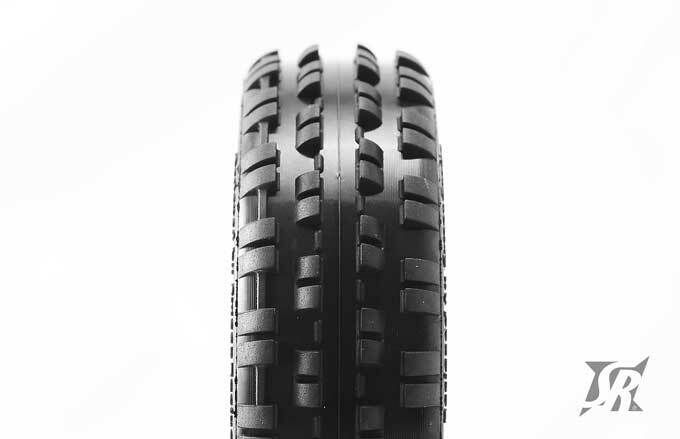 The design of each tires are followed well-known shape of tires patterns in general and are designed to allow a variety of setups with the addition of side ring for front tires. Each tires are easy to assemble and glue on the wheels and they have a directional design on outside of contact surface with optimized carcase design for carpet and Asrto turf track. The new rubber mixtures has been developed to maximize grip on carpets and Astro turf track, available with sky blue open cell sponge inserts as well. Blue (Soft) Recommended for Carpet surfaces. White (HARD) Recommended for Astro Turf surfaces w/o sub-floor.